"This quick and easy salsa is delicious and will be a crowd pleaser!" 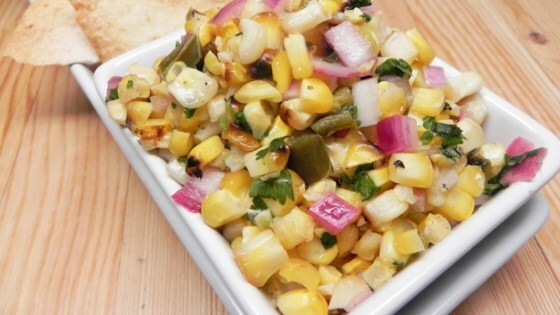 Combine corn and jalapeno pepper in a skillet over high heat. Cook and stir until edges start to blacken, about 10 minutes. Remove from heat and let cool, 5 to 10 minutes. Combine onion, lime juice, cilantro, salt, and pepper in a bowl. Fold in cooled corn and jalapeno.